Annotate security or other interceptors for your Spring web controllers, much like you normally annotate routes or endpoints. //determine if this request is authorized, using daos or any other mechanism. This is subjective, but IMO for the simple yet common use case of writing code that runs before your controllers, I find this to be much simpler to use and setup. How is SpringSandwich different from Spring AOP or Spring Security? 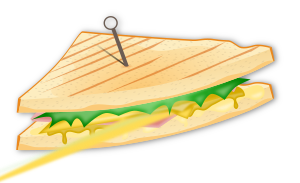 SpringSandwich is type-safe, whereas Spring AOP and Spring Security rely on String-based annotations which cannot be tested until runtime and which do not survive refactorings. Spring AOP furthermore uses global String expressions, making it sometimes less transparent about where advice is being applied (or even worse, silently NOT applied!). SpringSandwich is vastly simpler to use. This is of course hard to prove; you'll have to just try and compare for yourself. But you may wish to have a quick look at Spring AOP's documentation for comparison. How is SpringSandwich different from a servlet filter? Your interceptors have full access to the spring context. For instance, it is difficult to write a standard servlet filter that uses your daos to lookup a user because typically your daos require the spring context, which won't be accessible from a servlet filter. But in SpringSandwich, you have full access -- write your regular code like anywhere else. By re-using the routing information already defined in your controller instead of redundantly defininig elsewhere the routes to which it applies, SpringSandwich facilitates DRYer software with less room for error. In other words, it's a cleaner solution! SpringSandwich (c) Ari Kast 2016.